In this large elongated living room a small scale section sofa was used as a centerpiece for the room. The art work was hung in a stepped design to bring the eye up to the ceiling. 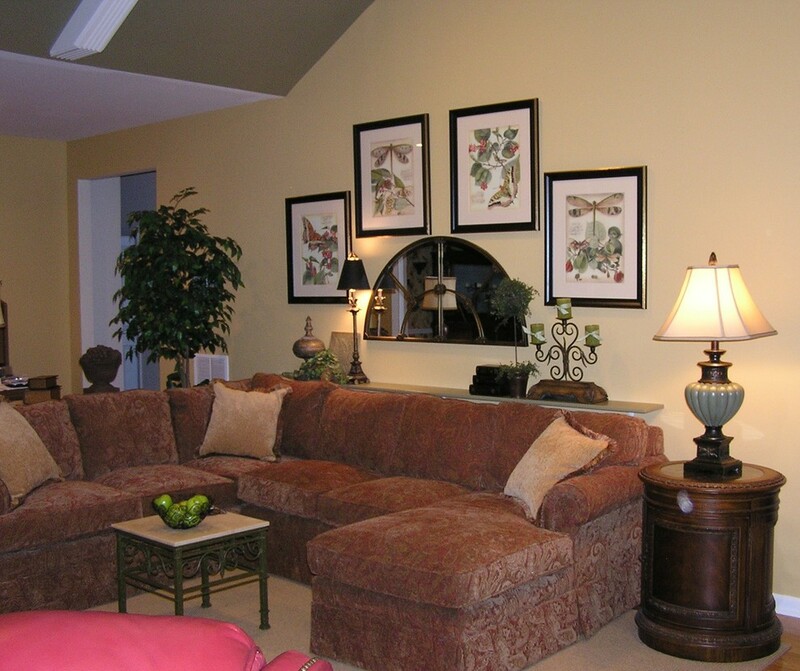 A floating shelf behind the sectional gives more surface area without cluttering the room with more tables. Rusted iron tables with marble tops give a rustic and casual look to the room. 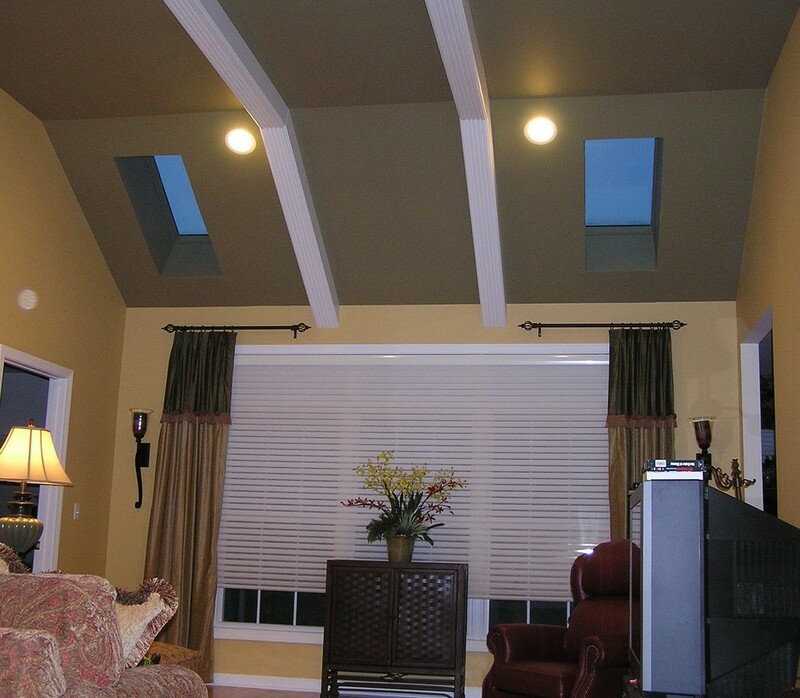 A painted ceiling and faux wood beams were added to give interest to the otherwise plain ceiling, accentuating the height. The large window looking out onto the desk area was framed by two tone velour custom window panels on a wrought iron decorative rods. 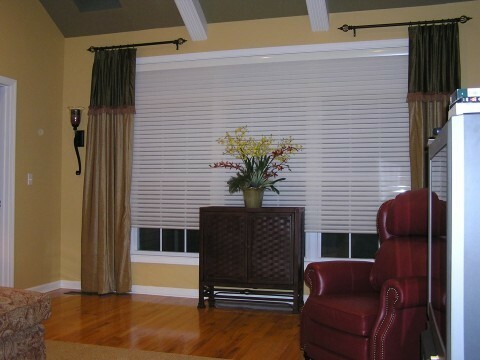 Soft window shadings were used to diffuse light and give privacy. A burgundy leather wing back recliner was placed across from the sectional for additional seating. 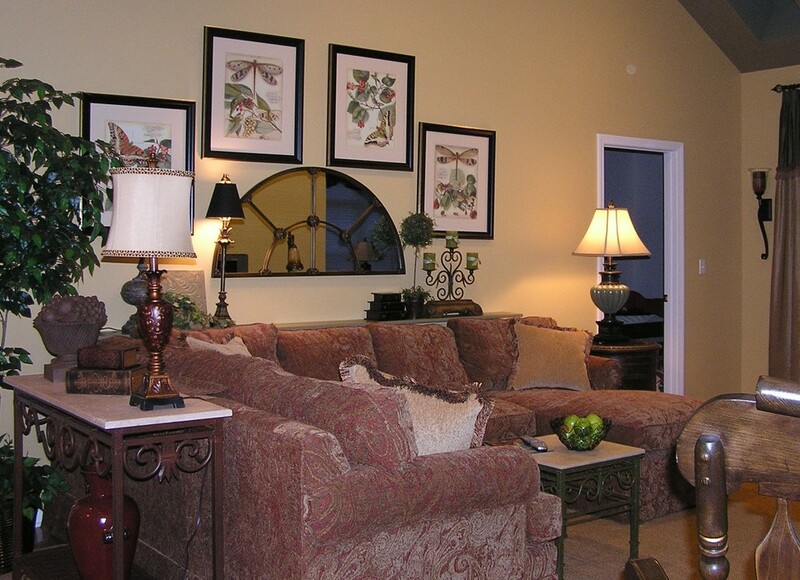 The warm color tones of the room give an inviting and comfortable feel to the room.